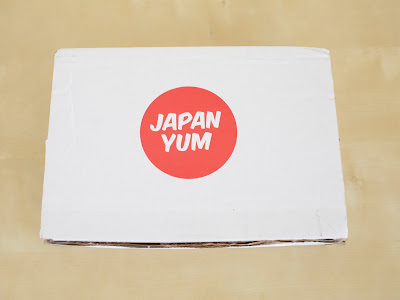 Last week, I received Japan Yum's February snack box. 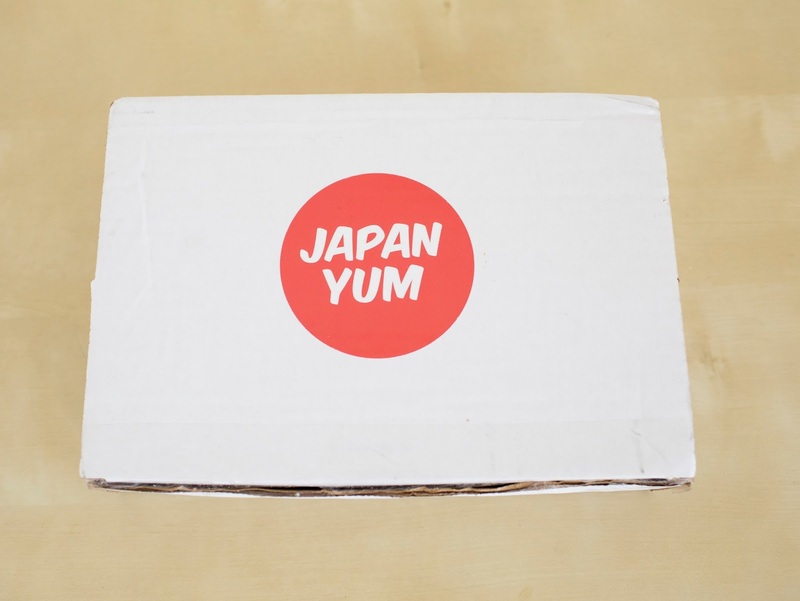 Japan Yum is a Japanese snack subscription company. 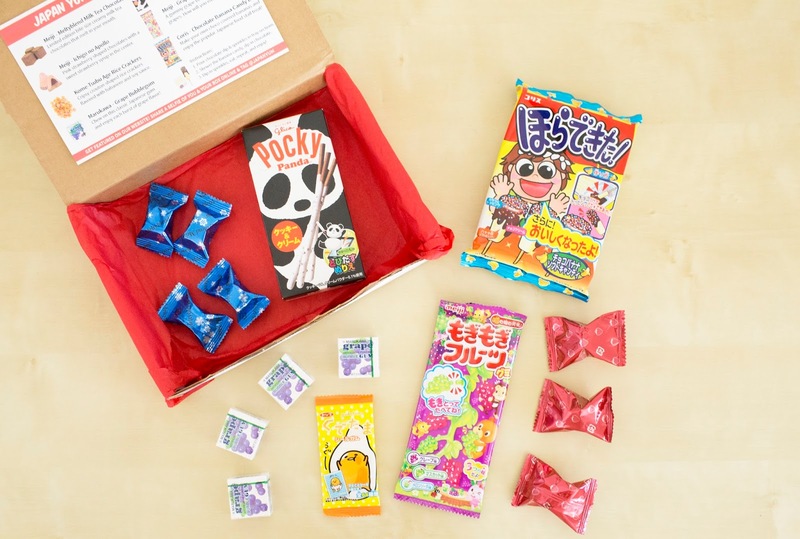 Since they work directly with Japanese candy suppliers and store their candies in a US facility, as a result subscribers can receive a great selection of snacks easier and quicker. First off, the shipping box IS the snack box! Once you open the box, you will see a red wrapping paper with a "thank you" sticker. Everything is very straight forward and convenient. 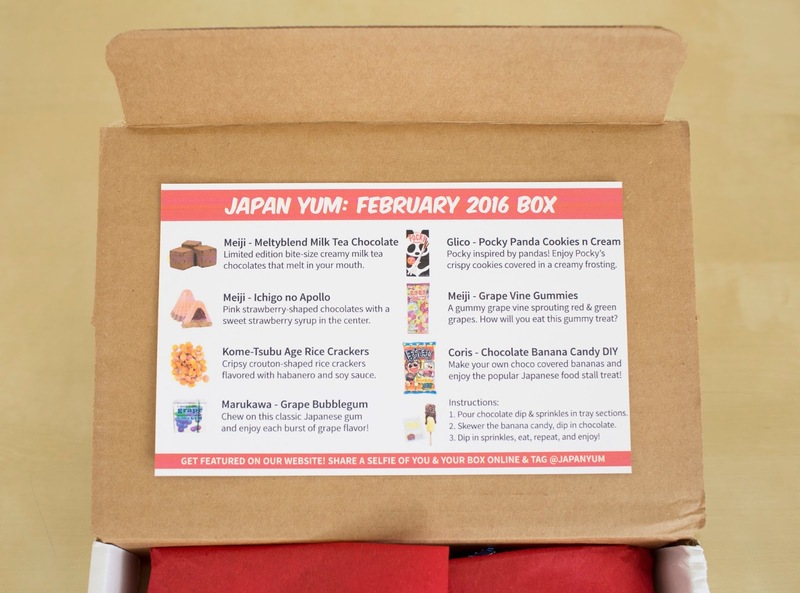 There's a list of snack for this month's snack box. Instead of making it a separated flyer or brochure, it is attached on top of box. 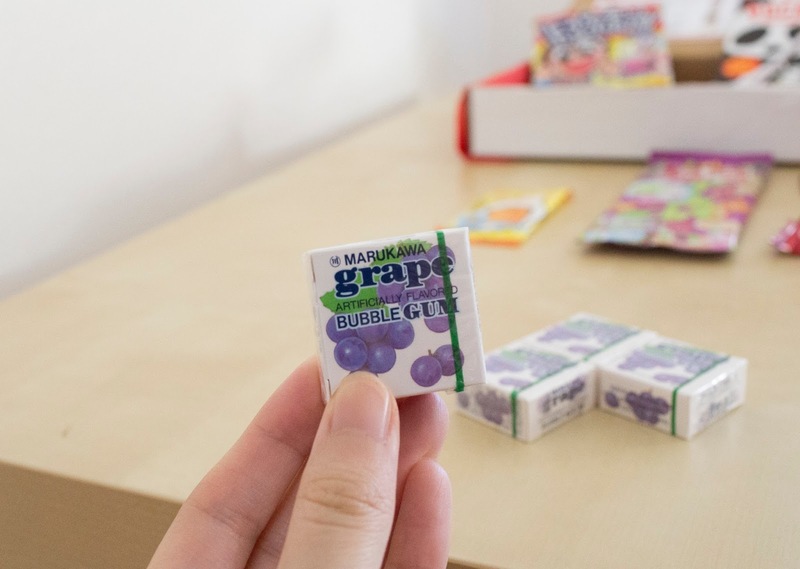 Not only you will see it once you open the box, you will never lose this "snack guide." I think it's a pretty smart way of solving different problems on the consumer side. 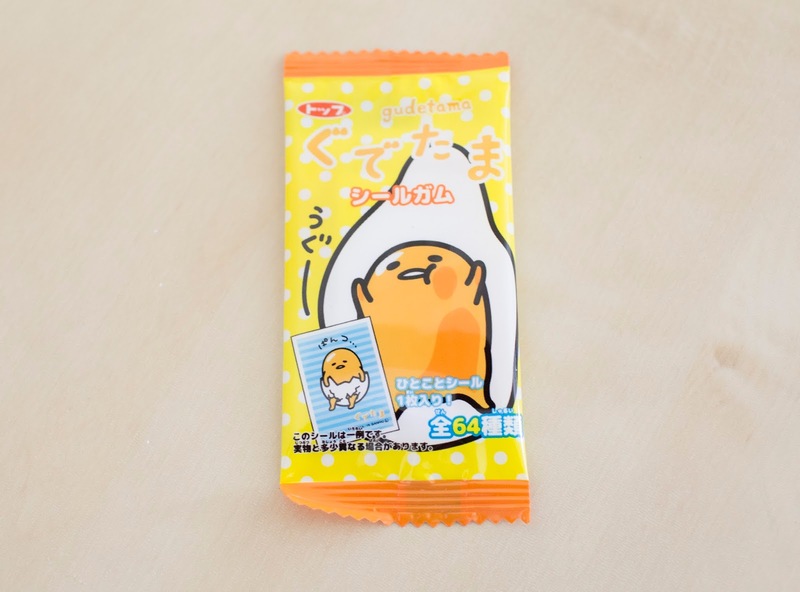 From just a glance, I already found one of my favorite Japanese snack brands, Meiji. 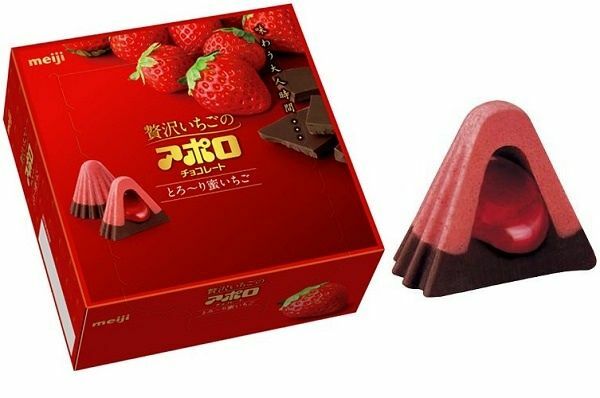 Their Ichigo no Apollo chocolate candy is one of my childhood favorites. Back then, it was only a strawberry flavored chocolate, now the new version has different filling. For this particular one I receive, it has strawberry syrup inside. It tastes just like how the photo below looks like, yummy and rich. 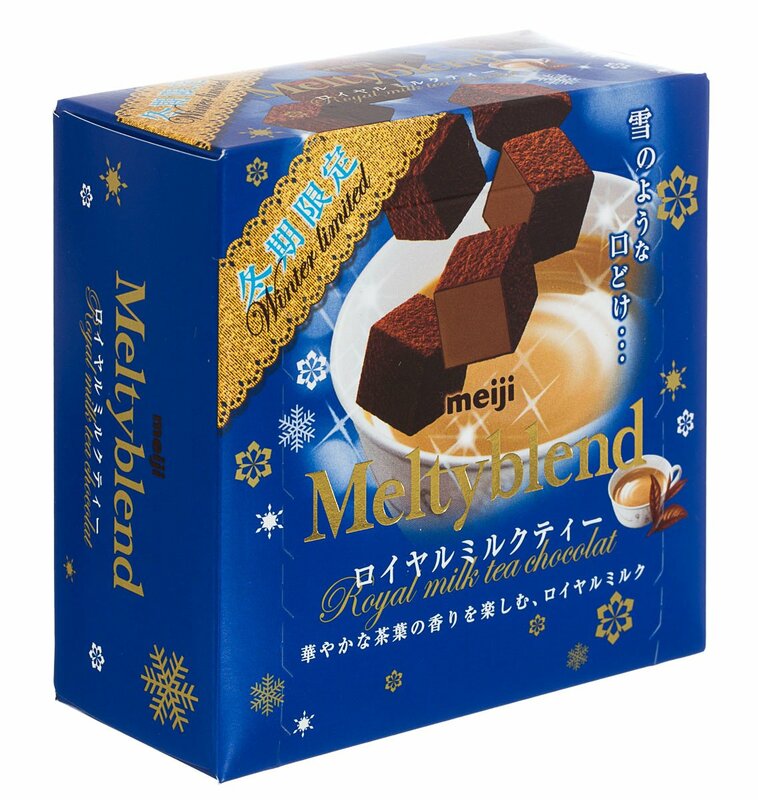 Meiji's Meltyblend chocolate is also one of my favorite Japanese chocolate snack. Meiji always has really pretty and sophisticated packaging. 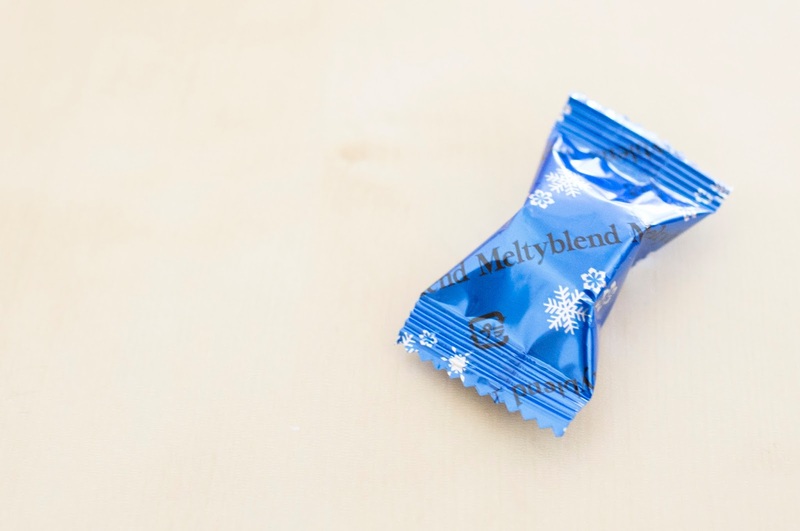 Their Meltyblend is a square chocolate that "semi-melt" in your mouth. Here, the flavor we get is "Royal Milk Tea." It is "Winter Limited Edition. " The chocolate is rich and creamy. 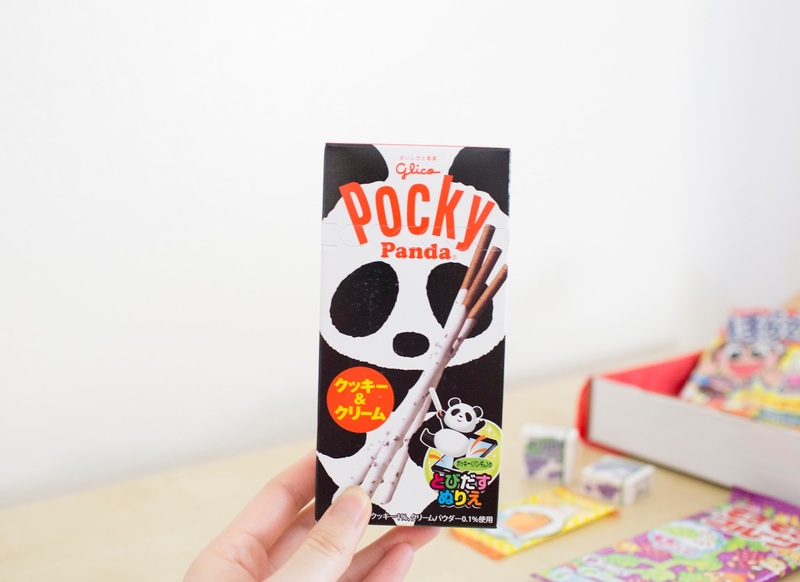 We are so similar with the red packaged Pocky, but their new Panda cookies n cream is so too cute to eat! Oh my! That's one of my favorites! ^^ "Meiji" brand candy usually doesn't disappoint me. Thank you for your very informative review! 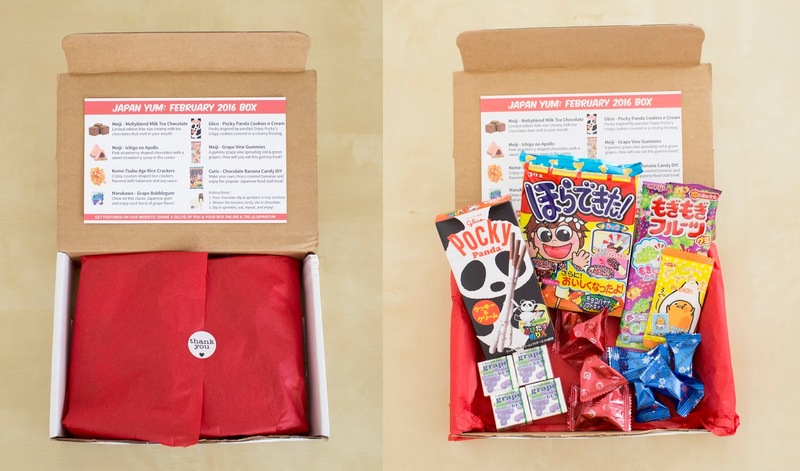 I am always curious if the subscription boxes are really worth it, & this ones looks like it would be. 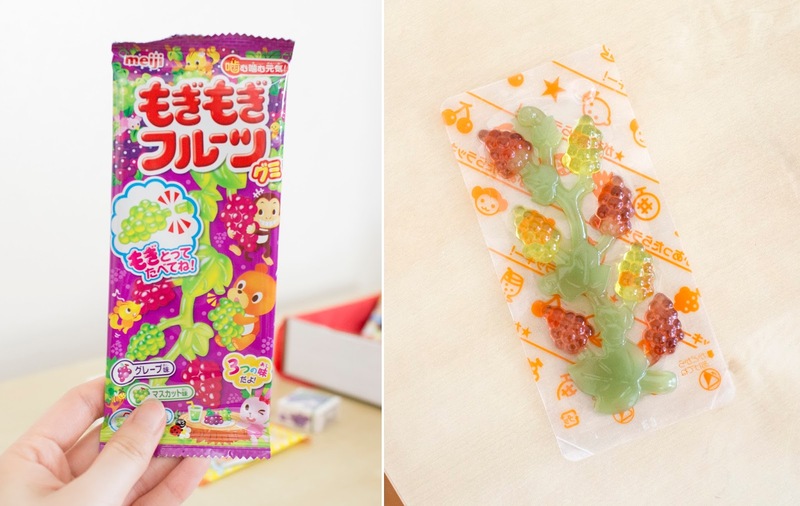 never tried Japanese candies and snacks b4, looks interesting. Chocolate in any form is lovely!!! so that Maiji makes me want to buy some chocolate here, sadly not able to buy that one to try.